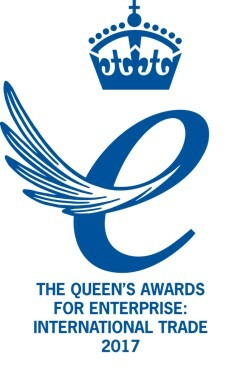 Lucid Group have been chosen to receive a Queen’s Award for Enterprise in International Trade. This award is widely regarded as the UK’s highest accolade for business success and they are delighted to have been recognised. Lucid Group is a strategic medical communications company that recently celebrated its ten year anniversary. This award confirms the success of its first decade of trading which has seen its international trade grow exponentially over recent years. Lucid has developed a very effective strategy, segmenting its market basically into two, recognizing the great differences in business cultures between its largest market, the USA, which is dealt with through its office in New York and represents 66% of overseas sales; and the rest of the world, serviced from the UK. Exports grew by 61% in three years and as a proportion of total sales increased from 63% to 81%. Lucid is no stranger to winning awards and holds a number of industry-related prizes. In 2015 Lucid scooped the Medical Education Consultancy of the Year title at Communiqué for the third year in a row, confirming its position as the leader and innovator in medical education at a global, regional and national level. Now for the first time its expertise and business success has been judged against a diverse array of companies from different types of industries.